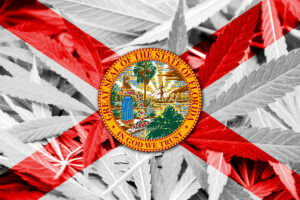 A Florida bank is moving to close the account of a medical cannabis advocacy organization. SunTrust Bank notified the Tallahassee-based Medical Marijuana Business Association of Florida (MBAF) last week that it will close the industry lobbying group’s account on April 18, citing the best interests of its customers and the bank itself, according to Jacksonville TV station WJXT. Fried noted in a tweet Tuesday that SunTrust’s decision comes at a time when the state is expanding its medical cannabis and hemp programs. MBAF Executive Director Jeffrey Sharkey told Marijuana Business Daily the association has been banking with SunTrust since 2014. The group generates membership fees from MMJ licensees and other businesses for advocacy efforts, legislative policy conference expenses and the like. “We are still in discussions with SunTrust, and if (the issue) is not resolved, we will secure another bank account either from out of state or in state if we can identify (a bank),” Sharkey wrote by email from a legislative committee hearing on a new hemp bill. Oh, but won’t THEY be sorry, one day! Wrong move by this bank, and they don’t even know it! Let another bank roll in the dough! Too bad the banking industry employs such incompetent people. Ever try to get a financial services bank employee to help you invest in anything other than a GIC or Mutual fund ??? Not going to happen. Anyone can invest through those markets without the banks help. All they want is the fees and more fees without taking any risk what so ever. So when it comes to this new industry they wait for others to lead the way. I have very little use for any bank that is just a follower and would never invest in their stock as it would surly be a laggard. When they get with the program in the future people should SHUT them out. SVBI is a bank serving mj companies. I feel there are still prudish scared citizens out there I wish they would come into 2019. They just don’t see! And I don’t understand. Hell they can build there on bank!!! It’s high time banks get on board! This is one of the most ludicrous moves I have heard of by SunTrust. Not only is medical marijuana legal in Florida, the bank needs to consider that foolishness of such conduct will cost the their customer base that agrees with marijuana usage, or who use it themselves, like me. I wish I was a millionaire and had over $25million in there because I’d go in tommorow and transfer ALL 25mill to another bank and call them out in front of a news camera…sadly I’m not big it would feel great! !